The boys from Bondi Beach came agonisingly close to back-to-back premierships last term, losing to the eventual champs and their biggest rivals the Rabbitohs at the penultimate hurdle. Even without longstanding fullback Anthony Minichiello and superstar second row Sonny Bill Williams, the team is still littered with talent, from state and international representatives like Michael Jennings and Aidan Guerra to the crucial spine of Jake Friend, James Maloney and Michael Jennings, and few would bet against them being in the hunt for the title. 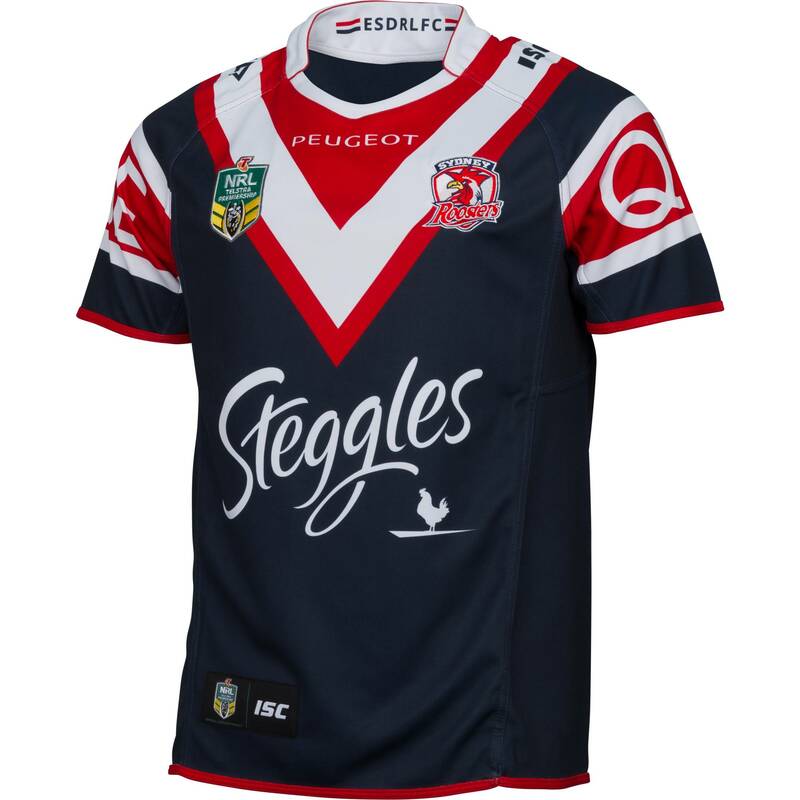 Some might accuse the Roosters’ shirts of being a bit boring, having changed little from the traditional tricolour design over the years. But one of our favourite shirts ain’t broke we don’t see any need to fix it. 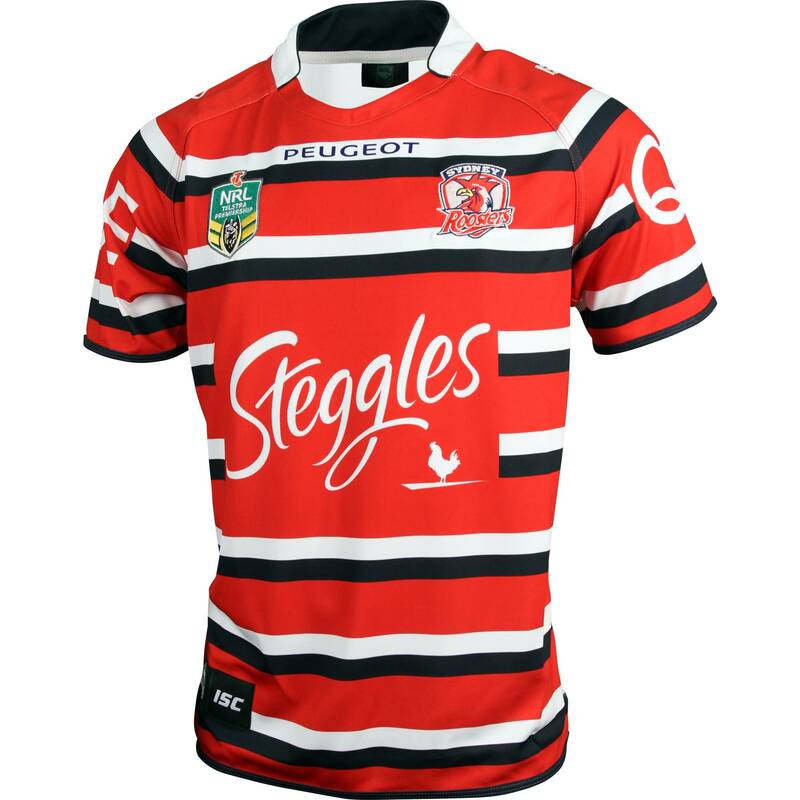 As such there are only subtle differences to last year’s stellar effort, with a change of sponsors on the sleeves and following other teams in a nostalgic inscription on the inside collar, in this case the ESDRLFC (Ease Sydney Districts). There’s so much we like about ISC’s loyalty to the club’s traditions: he bold red and white chevron that cuts into the deep blue of the jersey; the classy red trim on the sleeves and bottom; the slim red outline of the collar… it’s all so simple and so, so effective. We should really get a room. It may come as no surprise then that we’re drooling at the new away shirt, which is a now a straight reversal of the home strip, and may even be nicer than the main event. We’re big fans of a smart, simple white top, and the huge red and blue arrows look imperious standing out from the white background – it’s almost like seeing a guy in uniform. The alternate shirt completes a trio of winners for the TriColours. 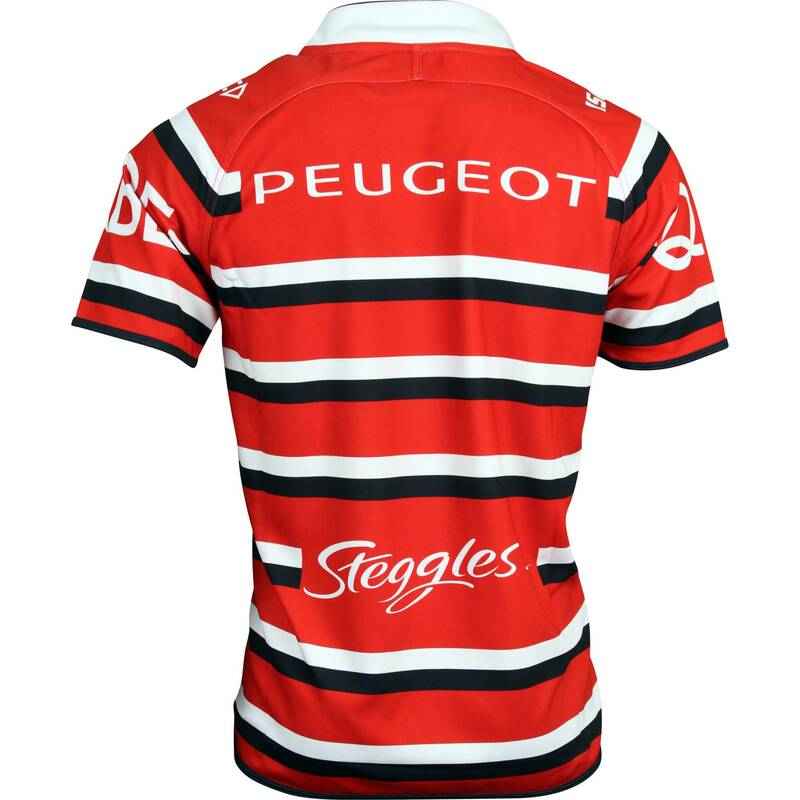 It’s very similar to the alternate shirt from the 2013 season with a stripy number, focussing mainly on red. 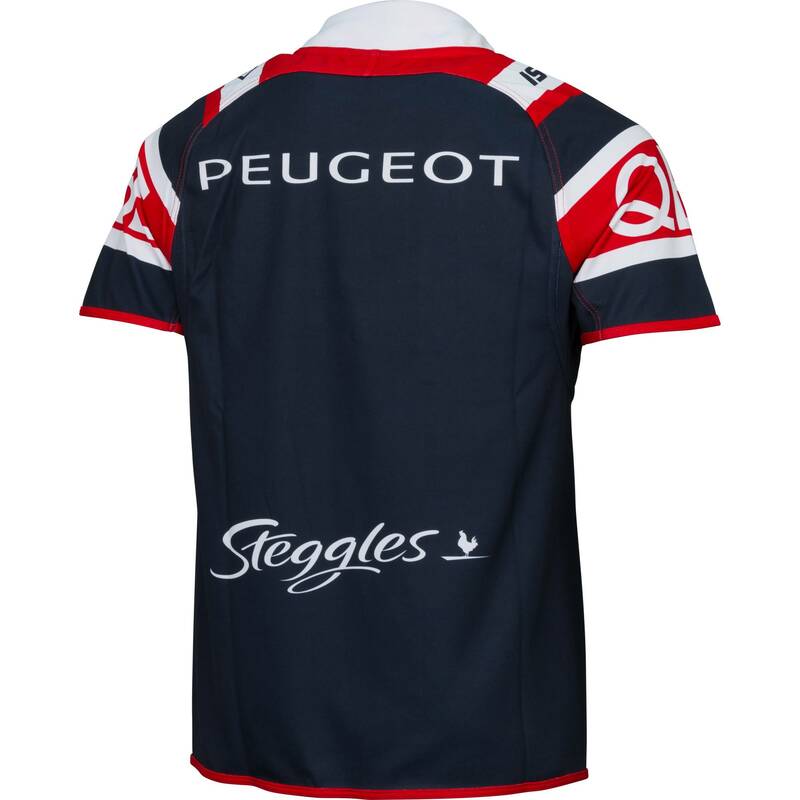 Last year it was swapped for a predominantly blue version, which though slightly cumbersome was perfected for this year’s Auckland Nines. Now back with the red strip, with smaller blue and white horizontal stripes, with the main colour taking even more of a centre stage. 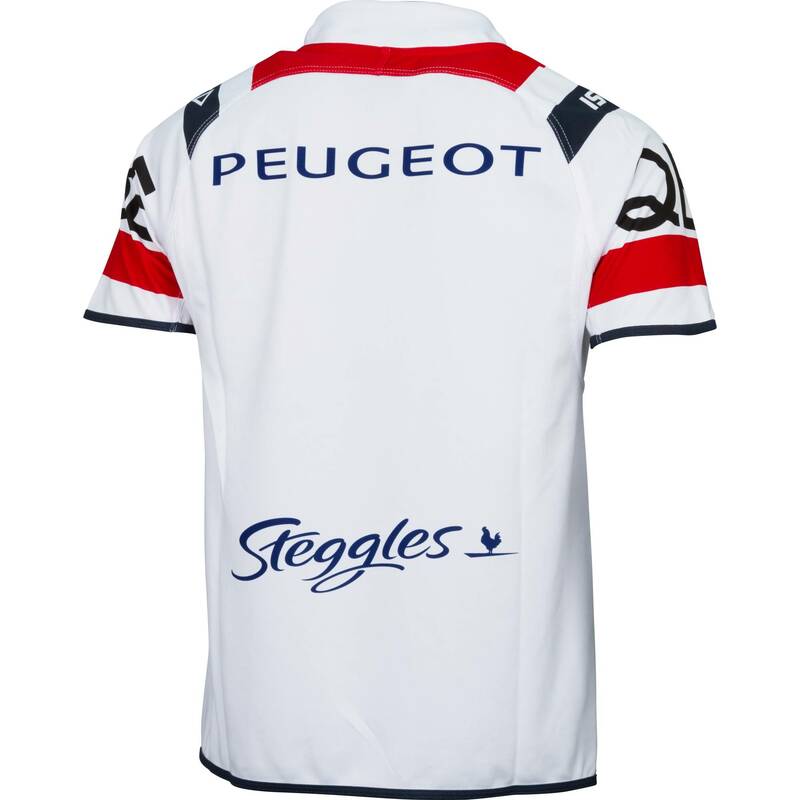 It works great with the main Steggles logo on the front and contrasting with the white collar, with a large space on the upper back seemingly giving the wearer a Hulk-like back. 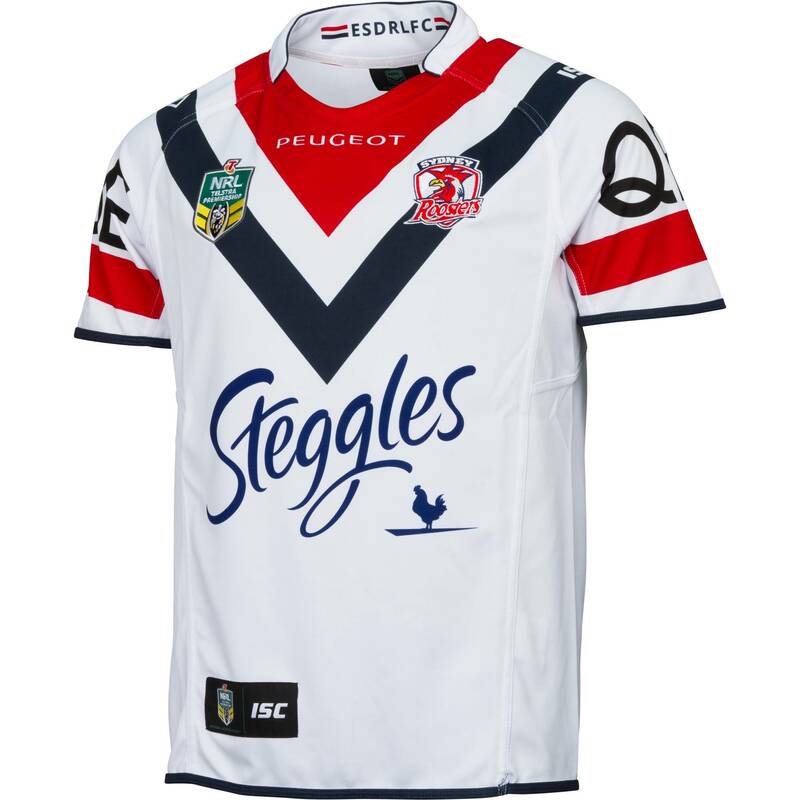 All in all, it’s a trio that it’s hard not too love – classic rugby league chevrons for the home and away shirts, and stunning hoops for the alternate. Contender for designs of the season? Very much so.